How to Buy Maternity Clothes. When you’re a first time mother, everything can feel overwhelming. Luckily, one of the things you can plan in advance is your maternity wardrobe. Depending on whether you’re having a single baby or a multiple pregnancy, you might need a lot of comfort even in your 3rd month, so planning ahead can save you a lot of trouble. Find out how to buy maternity clothes, how to choose the right items for you and how to prepare your wardrobe for your baby’s arrival, when you’ll need a few extras, including nursing clothes. Don’t underestimate the use of these special items of clothing, since you won’t be able to lose all the pregnancy weight right after birth, so you’ll be using them again while transitioning to your regular wardrobe. Before you go shopping for clothes, you need to know that maternity clothes aren’t just bigger. They’re created especially for a growing tummy, so shopping in the plus size department isn’t always a good substitute. 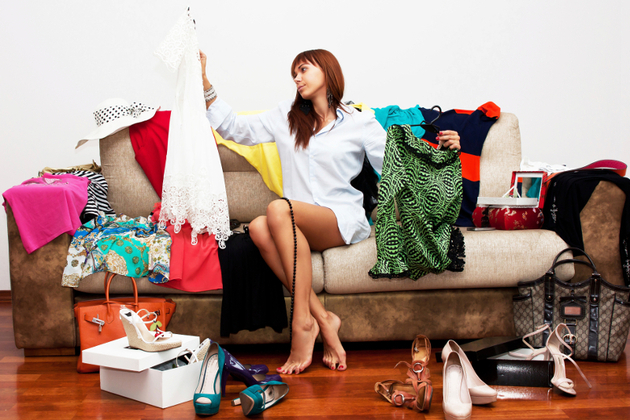 You should always put your wardrobe in order before going shopping, to look for any stretchy and comfortable items. The first thing on your list should be maternity underwear, because your tummy and breasts will keep growing, even if you’re not putting on weight in any other areas. Reach out to your friends who have already given birth. Borrowing maternity clothing is a good way to keep your budget under control as you get prepared for your baby’s arrival. If you’re having twins, triplets or more, you may start needing maternity clothing in the 3rd or 4th month of the pregnancy and a little later for a single baby. Go hunting for deals on maternity clothing and don’t forget to check out consignment shops and thrift stores. Maternity shops also offer strap-on fake bellies that can help you try on clothing for the last months of the pregnancy. Even if you’re barely showing, remember that the clothes you buy in the biggest size should also be nursing-friendly if you plan on breast-feeding. Another important piece of advice on how to buy maternity clothes is to plan to forget pants in the last few weeks before birth. Make sure you have enough skirts and dresses that make it easier to go to the bathroom. You can easily extend the life of your current wardrobe with simple tricks such as belly band. This strechy band can be worn instead of a belt on your pants, allowing you to wear them unzipped when the fit just isn’t right anymore. When it comes to size, maternity clothing is designed to be worn in the same size you’re accustomed to, except the maternity version is specifically designed to be more comfortable for your tummy in different times of your pregnancy. For a multiple pregnancy, you might need to go up a size or even two. The best tip on how to buy maternity clothes is to choose stretchy fabrics and are also as breathable as possible. A little spandex with mostly cotton is the perfect compromise for maternity clothes that both feel comfortable and look good. The belly band with its expanding waistline can still help you hang on to a few cherished items, like dress pants that still fit well except for the waist. As your pregnancy advances, forget about wearing pants when you’re home and go for dresses and skirts that give you maximum comfort. 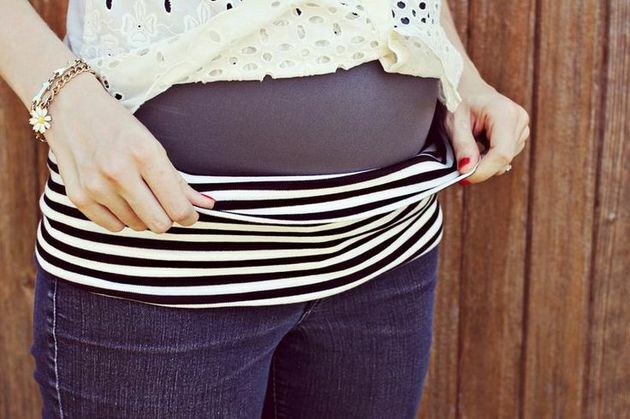 For dresses and skirts, the empire waist is the best fit for maternity clothing. Even when you’re shopping for comfort, don’t forget to buy at least one item you really love, that will help you feel great when you’re dealing with a lot of pregnancy stress. It doesn’t even have to be clothing. A piece of jewelry or a nice accessory that you can use anytime is a great idea. When you’re shopping for maternity clothes, you should also inquire about their nursing options. Easy access for the baby can be built into underwear, shirts, dresses, blouses and even sleepwear. While nursing bras are a must, you don’t have to spend a lot on nursing clothes as long as you have a few maternity shirts or blouses that you can use when breast-feeding.